In a Beach Road flat, strange liquid was flowing out of it and curious neighbors thought it might have been cough syrup. In an attempt to figure out what it was, a man, who wanted to be known only as Mr Luo, 70, used his finger to touch the dark liquid and sniff it. It turned out to be blood from his 79-year old neighbor, who died in his apartment at Block 4 Beach Road. He was a cleaner at a hospital, he had some difficulties walking and often kept to himself. Mr Luo told Chinese evening daily Lianhe Wanbao that he had returned home from breakfast at about 7am on Sunday (Dec 2) when he saw the liquid seeping out from his neighbour’s door on the 13th floor. He thought it was cough syrup but it had a strange smell to it, so he touched it with his finger and took a sniff. It made him worried and started knocking on the door. With no response from his neighbour, Mr Luo sought help from Keeping Hope Alive, a private volunteer group that looks out for the underprivileged and elderly in rental estates. 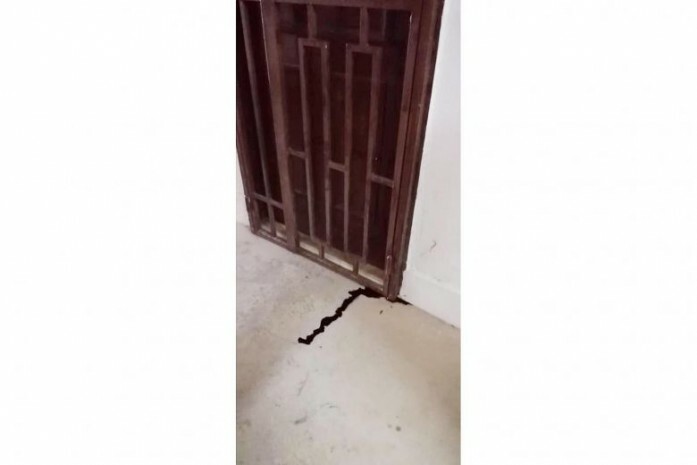 On Sunday, some of the members who did their door to door visits were approach by Mr Luo to check out the flat and they saw the blood trail. A police spokesman said police were alerted to the case of unnatural death at 7.39am on Sunday. The man was found lying motionless and was pronounced dead by paramedics at the scene.